850-337-8860 | www.camillesatcrystalbeach.com 2931 Scenic Hwy 98, Destin, FL 32541 Camille’s at Crystal Beach offers the freshest seafood that can be found on the Gulf Coast. A sister restaurant to Harbor Docks, Camille’s at Crystal Beach in Destin serves Gulf seafood that is caught in local waters by local fisherman and unloaded right on the dock at Harbor Docks Seafood Market, ensuring a Gulf to Table experience. 850-650-4853 | www.eatmoregumbo.com 2996 Scenic Highway 98 Destin, Florida 32541 790 on the Gulf is a catering restaurant that serves fresh Cajun food, shrimp, salads, seafood and homemade comfort food. 790 on the Gulf features Florida seafood with Louisiana flavors. At 790 on the Gulf, you can enjoy a scenic ocean view while you dine next to the beach, as well as, beautiful sunsets from their outdoor terrace. 850-460-7353 | www.eatmimmos.com 979 US Hwy 98 E. Ste #5 Destin, FL 32541 Mimmo's is the fresh new hot spot in Destin, Florida serving authentic Italian dishes bursting with flavor and color. Open seven days a week, 11 am to 10 pm on weekdays and 5 pm to 10 pm on weekends, Mimmo's is the perfect atmosphere - whether it be a business lunch or a large family celebration. Our full bar provides a vibrant venue for an evening out with friends. Come try it out for yourself and see what everyone's talking about. 850-650-1200 | www.tailfinsdestin.com 172 Harbor Blvd , Destin, FL Tailfins Ale House & Oyster Bar is a brand new owner operated local seafood restaurant on the Destin Harbor. Locals say it’s the best view on the harbor for waterfront dining with 3 levels overlooking the water. It’s a casual atmosphere, bar, live music venue with great local food. We offer live music on our top deck with a full bar. 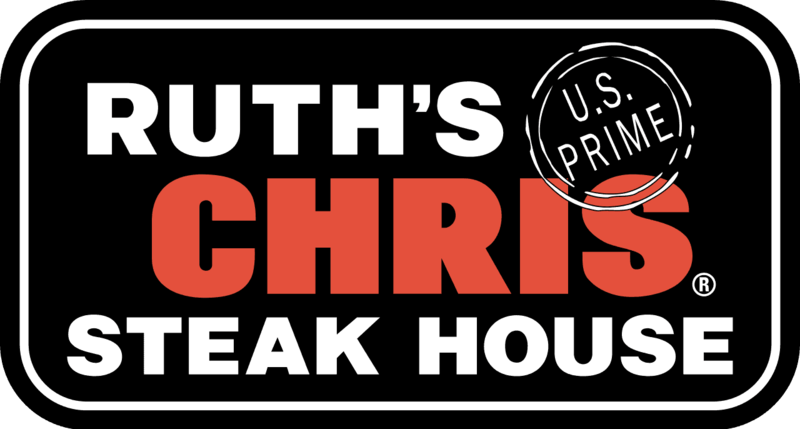 850-837-7884 | www.ruthschrisdestin.com 15000 Emerald Coast Parkway, Destin, FL 32541 From the U.S. Prime steaks, broiled to perfection at 1800 degrees, to the expertly executed local seafood, New Orleans-inspired appetizers, unforgettable desserts and award winning wine list, this is a steakhouse to which others aspire. We serve the finest wine along the Emerald Coast, the most incredible New Orleans inspired outdoor Courtyard Bar . We boast an array of private rooms, our own private billiard room, valet parking, and live entertainment five nights a week. 850-837-7960 | www.marinacafe.com 404 Harbor Blvd Destin, Florida 32541 At Marina Café, it is all about sensational food, attentive service and breathtaking Destin Harbor views. The candlelit dining room envelopes you in warm colors, high ceilings and large picture windows overlooking the Destin Harbor. Relax and enjoy our extensive wine collection with over 100 wines that perfectly compliment the wonderfully progressive cuisine. With fresh daily seafood selections, prime steaks, pastas, sushi and wood-fired pizzas, there is something for everyone at Marina Café. 850-424-3507 | www.jackacudas.com 56 Harbor Blvd Destin, FL 32541 Jackacudas Seafood and Sushi is a locally owned seafood and sushi restaurant overlooking the Historical Destin Harbor. Jackacudas name resides from a famous fishing hole located 34 miles Southwest of the Destin Harbor. Jackacudas is a full service restaurant and sushi bar that specializes in fresh locally sourced seafood and products to provide our guests with classic gulf coast seafood dishes with new south culinary preparation. The main focus is to create raving fans by providing high quality consistent food at a great value. 850-837-2506 | www.harbordocks.com 538 Harbor Blvd, Destin, FL 32541 Harbor Docks has several sushi bars and the deck sprawls along the waterfront and even valet parking. Our made-from-scratch food is honest and healthy. We can accommodate parties of all sizes, from 20 person birthday parties to 200 person wedding receptions. 850-460-2909 | www.cuveekitchen.com 36120 Emerald Coast Parkway, Destin, Florida 32541 Cuvee Kitchen in Destin, Florida offers classic French, Asian and Italian influenced delicacies along with award-winning signature dishes by Proprietor and Executive Chef Tim Creehan. A Wine Spectator Award of Excellence winner from 2011-2013, Cuvee’s stunning wine list and all manner of the finest libations enhance this epicurean experience. The “Best in Destin” voted Happy Hour starts at 5pm, with a tempting variety of specials. 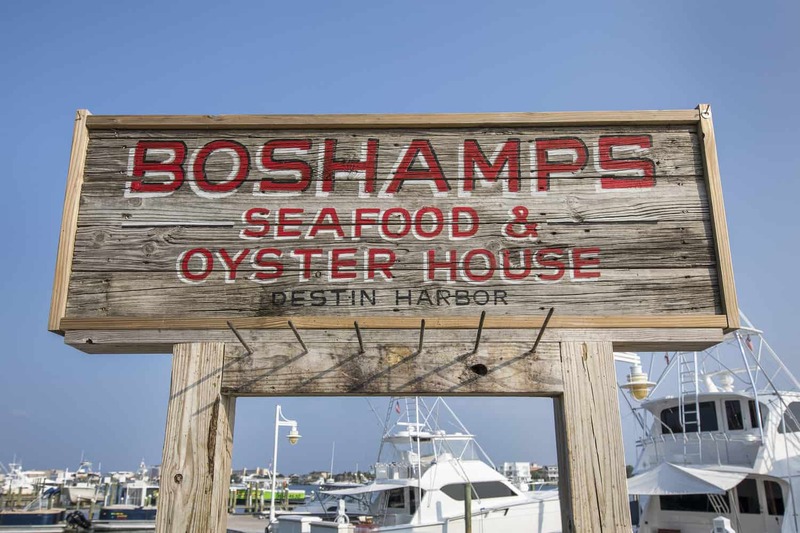 850-424-7406 | www.boshamps.com 414 Harbor Boulevard Destin, Florida 32541 With the ‘World’s Luckiest Fishing Village’ at our back door and the Chef’s extensive knowledge of Gulf of Mexico Basin and Caribbean cuisine combined with his deep Southern roots, Boshamps Seafood and Oyster House is proud to present Chef Andi Bell’s ‘Gulf to Table Southern Cuisine’.There are four fantastic decks that tier down to the water and provide panoramic views of the entire Destin Harbor.